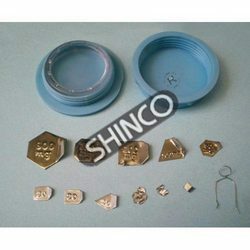 Our range of products include general purpose weight boxes, hexagonal mass set, tubular spring scales, meter scale, pull spring scales and fractional weight. For general laboratory work. Include one of 1g, 5g, 10g, 50g, 100g, 500g, 1000g and two of 2g,20g and 200g masses. Total number of masses supplied depends on the range chosen as indicated below. 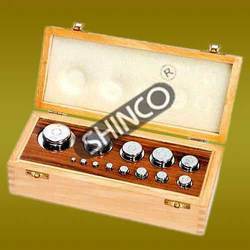 Plated brass weights (masses) with knob in a wooden case having a hinged lid. Calibrated according to tolerances specifi ed by International Organization for Legal Metrolog y, Class M2. Fractional weights are not included. Range Number of masses Cat No. 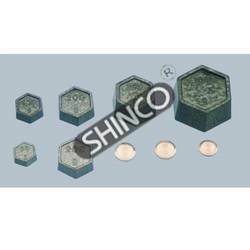 Backed by rich industry experience, we are engaged in offering an excellent range of Hexagonal Mass Set. 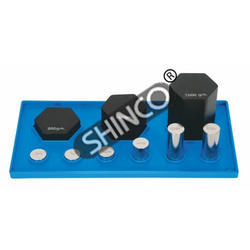 Widely used for general science and physics laboratory work, the offered range is made of stove enameled cast iron masses except the 10g and 20g masses that are made of polished brass. These products are packed in a cardboard box and is widely appreciated by the patrons. 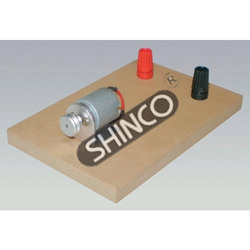 We hold immense expertise in catering to the variegated requirements of the customers by bringing forth a remarkable range of General Purpose Weight Boxes. Developed for the general laboratory work, our quality products include one of 1g, 5g, 10g, 50g, 100g, 500g, 1000 g and two of 2 g, 20 g and 200 g masses. Our patrons can avail our range as per their demands. 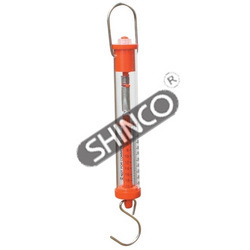 From the day of commencement, we are engaged in catering to the variegated requirements of the customers by bringing forth a comprehensive Tubular Spring Scales. The offered range is immensely used to measure force and mass that is clear acrylic body, easy zero adjustment and color code. Owing to our profound knowledge of this domain, we are able to come up with Meter Scale. Manufactured and designed using hard wood, our quality products comes with both edges, which is divided in mm and numbered every 10 mm. Our valuable customers can easily avail our products in both standard as well as customized solutions as per their demands & preferences. Tubular Spring Scales to measure force (Newton) and mass (grams). Clear acrylic body. Easy zero adjustment and color code. For determining weights by spring elongation which is proportional to the applied force. For laboratory use. 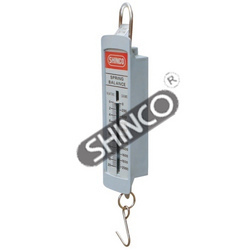 Made of strong polystyrene with a fl at anodized metal scale. 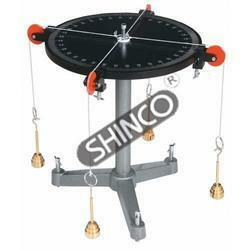 Provided with a zero adjuster, suspension ring and a load hook. Metric: Capacity Readability Cat. No. Newton: Capacity Readability Cat. No. 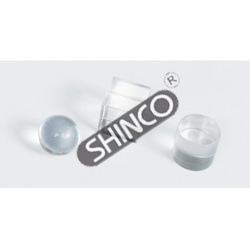 Fractional weights : 500mg, 200mg and 100mg are made of stainless steel : type- 304 and 50mg, 20mg, 10mg, 5mg, 2mg and 1mg are made out of aluminium foils. 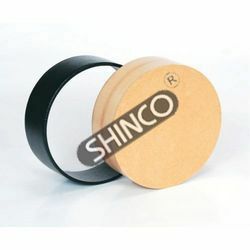 They are smooth and free from irregularities to retain cleanliness and accuracy. 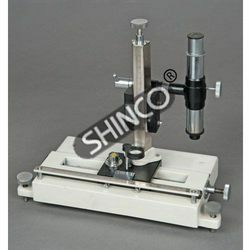 Vernier microscope (traveling microscope) has horizontal and vertical scales of stainless metal. 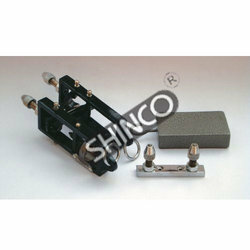 The heavy cast iron base is fitted with leveling screws with the top duly machined over which slides a metal carriage. 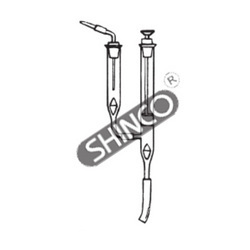 The slide can be clamped at any position by means of clamping screw. Fine adjustment for final reading is with a micrometer screw. A vertical slide operating in a similar way is fitted on the horizontal carriage. 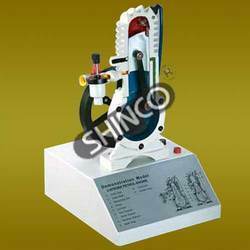 The microscope with rack and pinion is fitted on this vertical carriage and can be clamped in a vertical or horizontal position. The stage for placing objects for measurement is fitted with an acrylic plate. Achromatic lenses have been used. The slides travel 165 mm horizontally and 140 mm vertically. 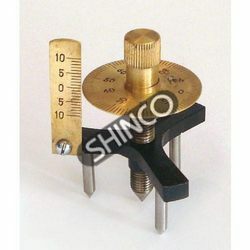 Vernier reading 0.01mm. The unit is packed in a wooden case. 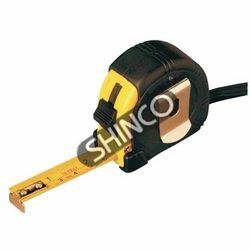 Measuring tape 3 M/10 ft, metal, retractable. Metal tape in plastic housing. 13 mm wide and 10 ft./3m long. Also called density bottles or R.D. Bottles. Recommended for comparison purposes. Also for experience in calibration work. Each bottle has a perforated stopper (about 1 mm bore) and a ground mouth for a proper fit. Made of borosilicate glass. For general science and physics laboratory work. Supplied in a plastic block. Includes one each of 10g, 50g,100g, two each of 20g, and 200g, (all made of plated brass) and one each of 500g and 1000g (both made of cast iron, enamelled finish). Made of Hard wood, with both edges divided in mm and numbered every 10mm. 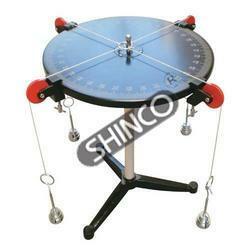 For studying the dependence of moment of inertia on the distribution of mass, by rolling down a metal ring and wooden disk of the same mass and diameter on an . inclined plane or rolling them on a level surface with the same initial impulse. Comprised of a metal ring and a wooden disk of diameter 15cm, thickness 5cm and same mass. When these are rolled down on an inclined plane on a level surface with the same initial impulse, the difference in acceleration can be studied. 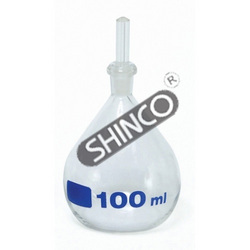 For showing that liquid levels are independent of shapes of the containing vessel and liquid will rise to the same level in the vessel, regardless of its shape. 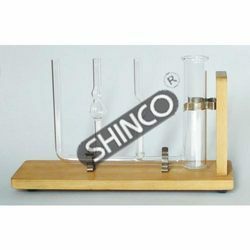 Consists of a reservoir and three tubes of borosilicate glass of same internal diameter but different shapes. Mounted on a stand. For demonstration of hooke’s law and use with hooke’s law apparatus. Closely wound springs of diameter 6mm with loops at both ends. Made of 26swg wire. Average extension for a 250g load are indicated below. 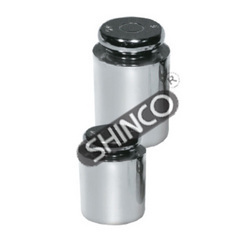 Springs with specific enlongations can also be supplied. A high quality motor used for driving the dynamo, fitted with a 12mm diameter pulley. Electrical connection is via 4mm sockets. The motor operates between 2 and 6v dc. 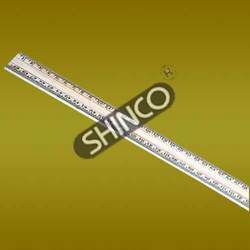 The base size is 146 x 100 x 10mm. 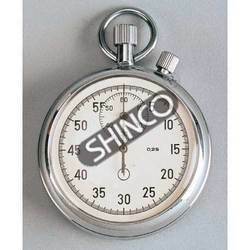 Dial is divided into 60 seconds with 1/5 second graduations. Has0 to 60 minute registry. Easy to read numerals. Housed in a plated metal case with a glass covered dial. Mechanical 15 jewel lever movement. Can be started, stopped and restarted by depressing the crown. A second side button resets the hand to zero. Rewinding is done by anti- clockwise crown movement every eight hours. Supplied in a high impact plastic case. No batteries required. 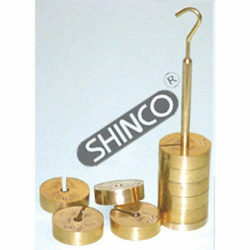 A combination of steel and brass weights, for weighing objects from 10g upto 1990g in 10g increments. Comprises of 1 each of 1000g, 500g, 200g,50g,20g and 2 each of 100g and 10g. Supplied on plastic tray. For demonstrating bernoulli’s principle that any restriction in fluid flow results in increased speed and decreased pressure. Comprised of borosilicate glass tube 18cm (7in) long and 18mm (3/4in) in diameter with a constriction in the centre and three vertical openings in different sections. 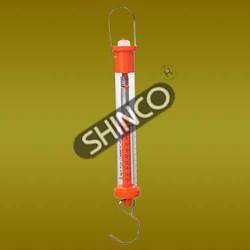 Includes three glass manometer tubes and rubber connecting tubes for measuring pressure at three locations. Ends are flared. 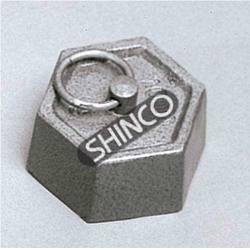 Hexagonal cast iron weights with lifting ring. We bring forth for our clients, an extensive array of Petrol Engine Two Stroke Demonstration Model. Our products represents the internal structures and operating principle of an air cooled two stroke engine. Customers can buy these products as per their preferences and requirements. For inside and outside measurement in metric or English units. 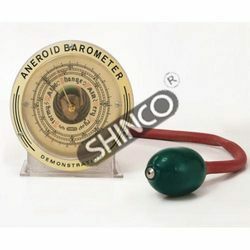 Ideal for learning precision measurement techniques by using the vernier principle. Has metric scale to 12.5cm in 1 mm steps and the 10 part vernier reads to 0.1mm. English scale is graduated to 5in in 1/16in divisions and the 8 part vernier reads to 1/128in. 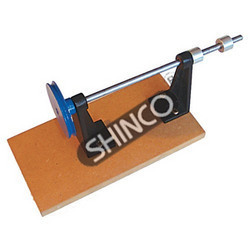 Features a locking pin to secure readings and knurled thumbwheel permits fast, easy measuring. Beveled cross horns are useful for internal measurements. Made of plated steel and packed in a plastic case. Two piece brass construction. Reads by vernier to 0.1 mm (1/128in). Similar to our Force Table 3462-00 but with a lighter base and support. The top is made of compressed particleboard. 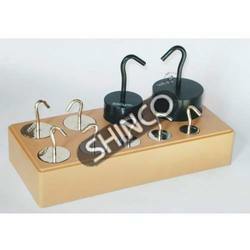 Includes 4 weight hangers of 50g and slotted weights 2x10g, 2x20g, 4x50g, and 4x100g. The pulleys and the clamps are of plastic. Other accessories are as per 3462-00 model. 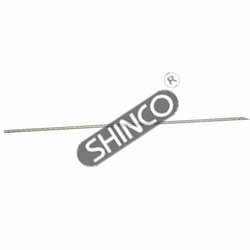 A high quality unit basically supplied to compare the power output and input against the larger version detailed above. The motor is fi tted with a 12mm diameter pulley and is operated between 1.5 to 4.5V DC. The base dimensions are 146 x 100 x 10mm. The line shaft is used to show the conversion from electrical energy, via mechanical, to potential energy by winding up a mass on a cord. The falling mass drives the generator and produces the power to light up a lamp showing the reversal of the conversion cycle. Weights (each set consists of the masses: 2 x 10g, 2 x 20g, 4 x 50g, 4 x 100g). Made of clear acrylic . Un-mounted with glass inlet and outlet valves. With 100mm dia, graduated 960-1065 x 1hPa with a reset pointer.